What’s one thing we all need to be doing more of? Spending time outside and getting fresh air. Hear us out….Did you know that the scent of pine trees actually decreases stress and increases relaxation? We’re not talking about that soy candle in your bathroom. We’re talking about the actual outdoors. Trees, grass, ocean, and rain….Getting outside, breathing fresh air, and taking a quick walk through the park or neighborhood. We know that fresh air is good for the soul and the brain. And we know there are countless benefits to walking-think improved creativity, lowered stress, boosted immune system….healthier brain! So today, get outside, take a walk, and explore your community for at least 30 minutes. Physical Exercise is one of the 6 Pillars of Brain Health! 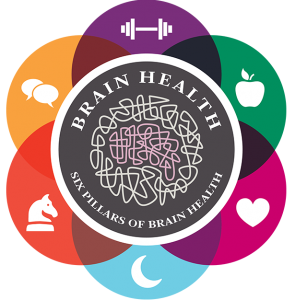 Cleveland Clinic’s Six Pillars of Brain Health can help you preserve your memory and lower your risk for brain disease. I love Spring and seeing all the birds return from their vacations down south! One of my favorite, the Hummingbird, is back. Put feeders up by mid-March to attract early migrants–a week or two later in the northern U.S. and Canada, a week or two earlier along the Gulf Coast (see average arrival dates at Migration Map). DON’T wait until you see your first Ruby-throated Hummingbird of the spring, which may be well after the first ones arrive. Early in the season just fill a couple of feeders one-third full; no need to waste sugar water until hummers start draining the feeders. 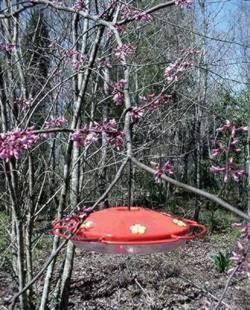 Likewise, as the season winds down, re-load each feeder with less sugar water. Maintain feeders all summer; take most down by 1 October, but leave one or two up until Thanksgiving (or even later if you can keep the mix from freezing); stray hummingbirds from the western U.S. may wander in and stay all winter (see Winter Hummingbird Research). NOTE: Leaving feeders up will NOT influence when healthy Ruby-throated Hummingbirds migrate south; their departure (and spring arrival) is linked to photoperiod. In cool spring or fall weather, you may be able to go a week without changing the mix, but if it gets cloudy, throw it out. Clean and refill feeders at least twice weekly in hot weather. You wouldn’t feed your house pets or your children moldy food, so follow the same policy with your hummingbirds. A mild solution of white vinegar may be used to kill mold in feeders for week-to-week cleaning. Invest in a curved bottle brush that can reach all parts of your feeders; it’s also useful to have a pipe cleaner or small brush that will fit into the feeder holes. Recent research indicates that bleach and other alkaline cleaners can release toxins from polycarbonate plastics (e.g., Lexan) used in some feeders; thus, we no longer recommend chlorine bleach as a cleaning agent. HINT: Glass feeder bottles do not collect as much mold as those made of plastic. If you go on vacation or miss a week putting out feeders, don’t feel sorry for the birds; Ruby-throated Hummingbirds know other food sources for at least a mile in all directions. It’s egocentric to think the hummingbirds can’t survive without you. Hang feeders in the shade when possible, but put them in full view of a window–especially one near your breakfast or supper table! There is evidence that hummingbirds seldom hit windows if the feeders are as close to the glass as possible. When birds get a flying start they’re likely to run into the glass. Several 8- or 16-ounce feeders are far better than one or two large ones. Don’t worry if Ruby-throated Hummingbirds spend a lot of time drinking artificial nectar; they also visit flowers for natural nectar and also catch small insects. It is unnecessary to buy fancy prepared mixes with vitamins and other additives; besides, these mixes cost as much as 20 times more than regular table sugar, and many of them contain preservatives that hummingbirds don’t need to be ingesting. NEVER use any petroluem-based product (Vaseline, Tanglefoot, Vicks, Metholatum, etc.) to keep insects away from feeders. These products are water-insoluble and can gum up the feathers of hummingbirds. Pour four cups of hot tap water into a large pot or pan (glass, enamel, or stainless steel, if possible; try not to use aluminum or soft plastics). Add one cup of table sugar (DO NOT use honey, artificial sweeteners, or other sugar substitutes). Stir until all sugar has dissolved. Let mix cool and pour into in well-cleaned feeders. Boiling, which slightly retards mold growth, is NOT necessary if your hummingbirds are draining the feeders within three days. Store excess mix in the refrigerator for up to 2 weeks (check for fermentation or mold; if the mix is cloudy, discard it). Some people freeze their mix and safely store it for much longer periods. In any case, let mix warm to room temperature before filling feeders. The water:sugar ratio of 4:1 is typical of the sugar concentration found in many flowers used by hummingbirds.There is no concrete evidence stronger sugar concentrations will hurt hummingbirds, but even a 3:1 mix spoils much faster than 4:1, and 2:1 is too syrupy and a real waste of sugar. In hot weather when energy demands are not as high for hummingbirds, you can even cut the mix back to 5:1 or 6:1 and save even more money on sugar. Leave a Comment on Hummingbirds are back! Who’s your all-time favorite bookworm? Some might say Hermione Granger, Maya Angelou, or even Oprah. But why not you? That’s right. Why not you? It’s no secret that spending time lost in a book does wonders for your noggin. 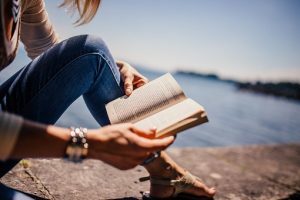 Reading strengthens brain health and allows you to relax in a way nothing else does – all while taking you to places you’ve never been and diving deeper into worlds you thought you knew by heart. Not only does regular reading help make you smarter, but it can actually increase your brain power. Just like going for a jog exercises your cardiovascular system, reading regularly improves memory function by giving your brain a good work out. 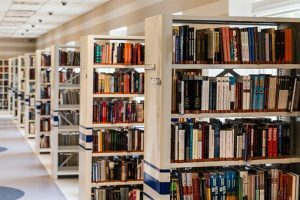 With age comes a decline in memory and brain function, but regular reading may help slow the process, keeping minds sharper longer, according to research published in Neurology. Frequent brain exercise was able to lower mental decline by 32 percent, reports The Huffington Post. In today’s day and age when screen time dominates, we challenge you to set aside 15 minutes for reading each day for the next 10 days. Start with a newspaper or reread your favorite book – the only catch is that you’ll want to avoid reading on a screen. Check out the New York Times Book Review for suggestions to fill your reading list! Here’s to a new chapter in brain health! Join VCU HR Work/Life on Tuesday April 23rd on the MCV campus for “Ergonomics-How to make your workstation work for you!” You can sign up at the VCU Training website here! Many of us work at a desk with a computer every day. As a result of repetitive motions, improper body mechanics, and inappropriate office set-up, countless individuals suffer from back, neck, shoulder, elbow, and wrist pain and injury. 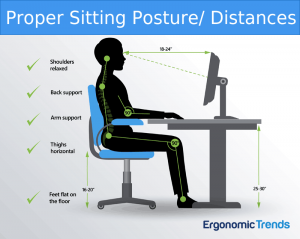 Most of this could be avoided by setting up ergonomic workstations in the workplace. 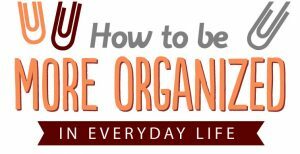 Setting yourself up with your own ergonomic workstation-a work area designed for maximum comfort, efficiency, safety, and ease of use-can prevent or reduce your risk for pain and injury associated with the physical stresses of a desk job. Find out about other resources VCU HR Work, life and well-being offers here. Leave a Comment on Is your workstation working for you? The first step in any gratitude practice is to reflect on the good things that have happened in your life. These can be big or little things. It can be as simple as scoring a good parking space that day or enjoying a hot mug of coffee. Perhaps you feel grateful for a close friend’s compassionate support. Moskowitz has been studying the impact of keeping a daily gratitude journal on stress relief and health. Practicing gratitude is part of a set of skills that her research team encourages people to practice. These skills have been shown to help some people increase their positive emotions. Her team is trying to better understand how a daily boost in positive emotions can help people cope with stress and improve their mental and physical health. Her team has been developing and testing these skills with people who have illnesses like advanced cancer, diabetes, HIV infection, and depression.2,3 She’s also worked with people who care for others with serious illness. 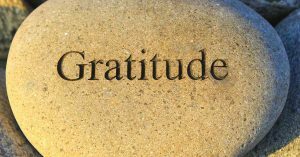 “Put some effort into experiencing gratitude on a daily basis and see how it goes,” Moskowitz advises. “It might just surprise you that—despite how bad things are—there are things you feel grateful for alongside it.” Feeling grateful may help improve both your mind and your body. Sure, it’s fun to share a good laugh. But did you know it can actually improve your health? It’s true: laughter is strong medicine. It draws people together in ways that trigger healthy physical and emotional changes in the body. Laughter strengthens your immune system, boosts mood, diminishes pain, and protects you from the damaging effects of stress. As children, we used to laugh hundreds of times a day, but as adults, life tends to be more serious and laughter more infrequent. But by seeking out more opportunities for humor and laughter, you can improve your emotional health, strengthen your relationships, find greater happiness—and even add years to your life. Why is laughter the sweetest medicine for the mind and body? Laughter is a powerful antidote to stress, pain, and conflict. Nothing works faster or more dependably to bring your mind and body back into balance than a good laugh. Humor lightens your burdens, inspires hope, connects you to others, and keeps you grounded, focused, and alert. It also helps you release anger and forgive sooner. Laughter burns calories. OK, so it’s no replacement for going to the gym, but one study found that laughing for 10 to 15 minutes a day can burn approximately 40 calories—which could be enough to lose three or four pounds over the course of a year. Laughter makes you feel good. And this positive feeling remains with you even after the laughter subsides. Humor helps you keep a positive, optimistic outlook through difficult situations, disappointments, and loss. Sharing humor is half the fun—in fact, most laughter doesn’t come from hearing jokes, but rather simply from spending time with friends and family. And it’s this social aspect that plays such an important role in the health benefits of laughter. You can’t enjoy a laugh with other people unless you take the time to really engage with them. When you care about someone enough to switch off your phone and really connect face to face, you’re engaging in a process that rebalances the nervous system and puts the brakes on defensive stress responses like “fight or flight.” And if you share a laugh as well, you’ll both feel happier, more positive, and more relaxed—even if you’re unable to alter a stressful situation. Release inhibitions. Your fear of holding back is pushed aside. Begin by setting aside special times to seek out humor and laughter, as you might with exercising, and build from there. Eventually, you’ll want to incorporate humor and laughter into the fabric of your life, finding it naturally in everything. Smile. Smiling is the beginning of laughter, and like laughter, it’s contagious. When you look at someone or see something even mildly pleasing, practice smiling. Instead of looking down at your phone, look up and smile at people you pass in the street, the person serving you a morning coffee, or the co-workers you share an elevator with. Notice the effect on others. Count your blessings. Literally make a list. The simple act of considering the positive aspects of your life will distance you from negative thoughts that block humor and laughter. When you’re in a state of sadness, you have further to travel to reach humor and laughter. So, what if you really can’t “find the funny?” Believe it or not, it’s possible to laugh without experiencing a funny event—and simulated laughter can be just as beneficial as the real thing. It can even make exercise more fun and productive. A Georgia State University study found that incorporating bouts of simulated laughter into an exercise program helped improve older adults’ mental health as well as their aerobic endurance. Plus, hearing others laugh, even for no apparent reason, can often trigger genuine laughter. To add simulated laughter into your own life, search for laugh yoga or laugh therapy groups. Or you can start simply by laughing at other people’s jokes, even if you don’t find them funny. Both you and the other person will feel good, it will draw you closer together, and who knows, it may even lead to some spontaneous laughter. Leave a Comment on Fun Friday! 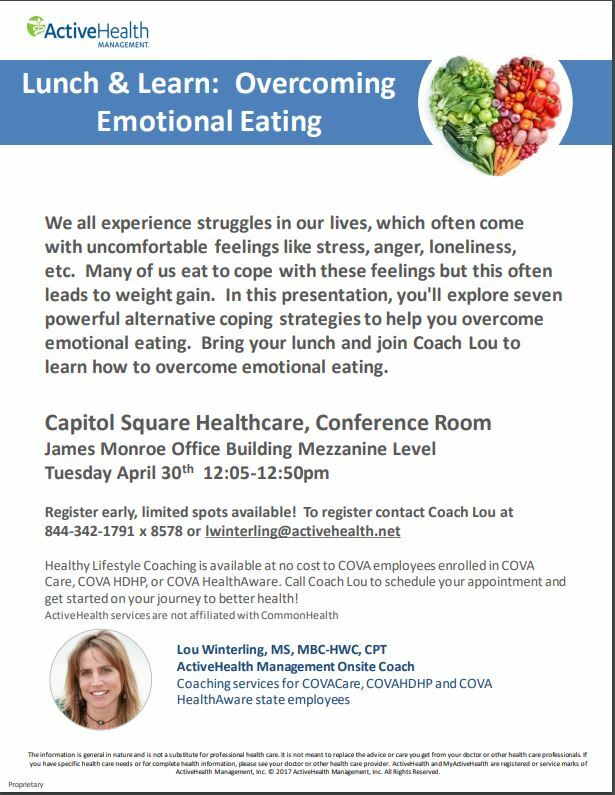 ActiveHealth presents Overcoming Emotional Eating – open to all VCU employees enrolled in COVA Care, COVA HDHP, or COVA HealthAware. The location is very easy for VCU employees located on the MCV Campus and for VCU employees located on the Monroe Park Campus it’s just a quick campus bus or pulse bus ride or a healthy walk! 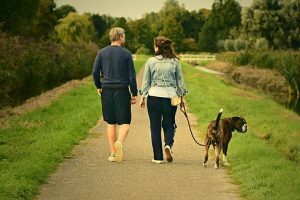 Recent studies show that walking as little as two hours per week can help you live longer and reduce the risk of disease. “Our bodies were designed to move,” said Dr. David Agus, Professor of Medicine and Engineering at the University of Southern California. The world’s longest-lived people don’t pump iron, run marathons, or join gyms. Instead, they live in environments that constantly nudge them into moving without thinking about it. They grow gardens and don’t have mechanical conveniences for house and yard work. They have jobs that require them to move or get up frequently. And they walk every single day. Almost everywhere. In Amish communities in North America, one study showed that the average woman logged 14,000 steps per day and the average man logged 18,000 steps per day, and both genders averaged about 10,000 on their day of rest. These Amish communities also had the lowest rates of obesity of any community in North America. This study eventually hit the media and began the movement to reach at least 10,000 steps per day. Take your dog out for a short morning jaunt around the block. Walk instead of drive to pick up workday lunches. Step outside after dinner with your family. Research shows it is better for you to break up your movement throughout the day than to work out for 30-40 minutes in the gym and sit all day. Walk to the grocery store. If your location safely allows you to, walk to the grocery store. Though you may not be able to purchase a week’s worth of groceries in a single trip, you can buy the freshest ingredients and return again later in the week. Park in a spot furthest from the building. If you work in the suburbs, in a mall, or a business park with very few parking options, just choose to park far away from the entrance to add a few more steps to your day. Walk 5 minutes each hour. Get up out of your desk and take a round of the office. Fill up your water bottle. Get outside to maximize benefits, if possible. Take one long walk of 30-40 minutes. Recruit a friend (or your moai!) to take a post-work walk. Forty minutes will fly by before you even realize how far you’ve gone. Aislinn Leonard is the business coordinator at Blue Zones. She studied Communication & Journalism and French at the University of St. Thomas and is a hockey player, national champion hurler and lover of all things health and fitness. Our eyes are irreplaceable, and the vision they provide makes our world much more easy to navigate. A lot of people know that eye strain causes long-term damage to the eyes. Many people also believe eye deterioration is part and parcel of aging – but what if there was a way to prevent that and have better eye health? Believe it or not, paying attention to your diet can help determine the condition of your eyes. A 2001 renowned Age-Related Eye Disease Study found that certain nutrients can actually reduce the risk and rate of developing these types of eye conditions by as much as 25%. This means that being selective in your food choices and including options that have been scientifically proven to help the eyes can be all it takes to keep your eyes healthy. Sweet potatoes are packed with a component known as beta carotene. This nutrient is converted within the body and turned into vitamin A, which is arguably the most famous vitamin for eye health. Beta carotene is known for its ability to prevent or delay macular degeneration, and its resulting vitamin A can help the eyes stay sharp. This keeps you protected against dry eyes, infection, and also night blindness. These tubers are also great for providing additional vitamin C and vitamin E so your body is kept healthy along with your eyes. Omega-3 fatty acids are great for eye health. Insufficient amounts can cause dry eyes, especially the type resulting from prolonged computer use. This nutrient is also capable of protecting the eyes from conditions like glaucoma and age-related macular degeneration. But why salmon? Well, there are actually two kinds of omega-3 fatty acids that you need in order to reap full rewards: EPA and DHA. Fatty fish like this one has both of them. 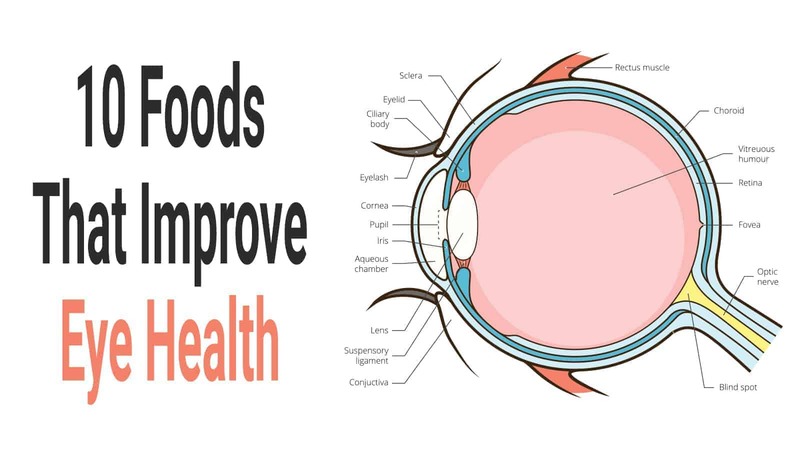 Eating enough can improve retinal health and even provide benefits for development. Your best option for choosing salmon are wild-caught varieties. This isn’t to say that farm-raised don’t have omega-3, but they do have much less. Wild-caught salmon also has lower levels of cholesterol, which is more positive for your body on the whole. Leafy green veggies are packed with vitamin C and vitamin E, which have both been proven to be good for eye health. But there’s something else they contain that makes them so good: carotenoids. Carotenoids are plant-based compounds, and leafy greens specifically have zeaxanthin and lutein. Those two compounds are essentially vitamin A types found in plants. They’re great forms of nutrient but sadly largely absent from a lot of Western diets. They’re good for protection against cataracts and age-related macular degeneration. One of the absolute best of these leafy greens to go for is kale. Not only does it have superfood status that makes it good for all of your body, from strength to immunity to positive thinking, but it has very high amounts of lutein (11.4 mg per 100 g) and zeaxanthin. You can also opt to make kale chips by tossing small, washed leaves in olive oil and baking till crispy. Add some salt over the top and you’re good to go! We’ve already talked about lutein and zeaxanthin, and guess what – eggs have a lot of them. These compounds have been proven to reduce the risk of developing a number of different eye conditions, especially ones that become more likely with age, so eggs are great foods that improve eye health. Not only that, but eggs also have lots of vitamin A and zinc. Vitamin A keeps the eye’s surface, known as the cornea, safe from damage. Zinc, meanwhile, keeps the back of the eye, known as the retina, healthy and strong. Zinc is also good for better night vision. Keep in mind you have to eat the whole egg to get all these benefits, not just the whites or the yolk. The yolk has the zeaxanthin and lutein, while the white has the zinc. These components actually work together, as zinc helps the other two components be absorbed and used by the body. Together, they’re good for preventing blue light damage and they keep the eye’s macula strong through more protective pigment. Since the macula is crucial for central vision abilities, it makes sense that eggs are just great for the entire eye as a whole – its front, back, and middle. People have always made jokes about rabbits having great eyesight because of all the carrots they eat. While it doesn’t exactly work that way, there’s no denying that carrots do, indeed, provide a lot of positive benefits to overall eye health. Carrots are packed with both beta carotene and vitamin A. Both can boost the strength of the eye’s surface, ward off possible infections, and reduce the risk of developing a number of diseases that can have serious, lasting effects. Vitamin A is expected to work so well for eye health because it is one of the components of rhodopsin. Rhodopsin is a protein that helps the eye’s retina work on absorbing light more, so it gives you stronger vision, especially at night. These four types of food are great options as they have a lot of vitamin E and omega-3 fatty acids, especially almonds. Eating enough vitamin E can help keep away unstable molecules that could damage healthy tissue within the body. This is why this vitamin is good for stopping the risk of cataracts and age-related macular degeneration. When we think of citrus fruits, we typically think of vitamin C. This vitamin is an antioxidant too, and the American Optometric Association recommends sufficient consumption of this component to boost eye health and keep potential damage and disease to the eyes at bay. 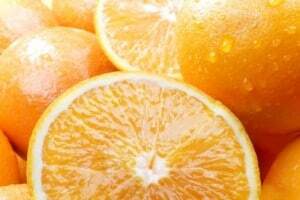 Humans don’t have the ability to naturally make vitamin C on their own within the body. This is why ensuring that you get enough of this vitamin is so crucial to overall health. The fact that vitamin C helps the health of all other parts of the body too makes this a done deal. Lean meats, especially beef, are packed with a mineral called zinc. As we mentioned previously, zinc is important as it has positive effects on the way the body processes and uses vitamin A. Without enough zinc, vitamin A may not be brought up to the retina from the liver, so the protective melanin pigment in the eyes can’t get the boost they need. You can also get a lot of zinc through oysters, which have a huge amount of zinc for their size – more than any other type of food per serving, with beef being the next best option. If that’s not your thing, you can also get a zinc fix from chicken (whether breast meat or dark meat) and pork loin. With both vitamin A and zinc, dairy products pack a powerful punch in combating eye problems. Yogurt and milk provide these components. Vitamin A helps the cornea while the zinc brings that vitamin up into the eyes where it can be put to good use. Zinc is actually present in the eye naturally, especially in the retina and the vascular tissue beneath it, known as the choroid. It is there to help night vision and to boost cataract protection. Consuming more zinc can, in turn, further assist in this cause and provide even more positive results. Your best bet when picking dairy products is grass-fed cow products, as they maintain the most nutritional benefit compared to factory farmed products. Everyone says drinking water is the best way to good health. People do tend to overstate this, which is why it’s such a joke on the Internet now. But the truth is that while water can’t solve everything, it certainly can do a whole lot! We can’t get into everything water can do, but suffice to say it has positive effects on eye health. Our eyes are made up of plenty of fluids. Like every other part of the body, eyes need water in order to retain moisture and keep functioning optimally. Water is necessary for clear vision, and it keeps the eyes in good shape. A lack of water leads to body-wide dehydration, which in turn, affects the eyes. This is why dry eyes can often be alleviated somewhat by drinking extra water. No one wants to lose their vision. But aging comes with challenges that may lead to this unfortunate result. Still, don’t fear, and maintain positive thinking! By eating these foods that improve eye health, you’ll be able to boost the protection, strength, and overall condition of your eyes so they continue working well even as you grow older. If you suspect that you may have a serious eye condition, then, of course, you shouldn’t rely solely on these foods. Speak to a doctor immediately for a check-up. If you would like additional help in keeping your eyes healthy as you age, a medical professional can help you find good options! Save time by not spending time looking for things. Save money by not buying items you already have. Instill confidence by knowing where things are in the home. Reduce stress related to lost items or lost information. 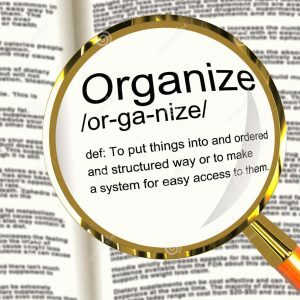 Manage many activities and deadlines more efficiently. and like most great things, you must cultivate a taste for them. Receive well-being tips from VCU HR straight to your inbox. Opt out any time. Melissa Siebert on Happy First Day of Spring!